If you live or work in North Beach WA 6020, you know the importance of a clean residence or workspace. This includes everything from spring cleaning to mattress cleaning to carpet cleaning. Sure, it pays to vacuum every few days. Or every day if you have children, pets or a high traffic business. Carpets accumulate dirt, dust mites, crumbs, pet hair and the like so easily that vacuuming alone can’t do the trick. So why not hire us to steam clean your carpets? Rid Your Carpets Of Stains: Some spots and stains can be quite stubborn and even if you use store brand carpet cleaners, they might not be able to completely remove the stain or spot from your carpets. We use professional grade cleaners and equipment to safely and gently treat and remove stains from your carpets. Rid Your Home Of Harmful Allergens: If left untreated, the dirt, dust mites, hair, and such can get trapped into your carpets and start to smell musty. This then causes poor air quality which can be an issue for those who have certain illnesses such as asthma and other allergies. We use only eco and allergy-free cleaners to gently clean your carpets to rid them of any pollutants before they become airborne, which then helps to restore a healthy air quality to your home or office. Extend The Life Of Your Carpets: We know that carpeting your home or office can cost a pretty penny so you want to get as much wear and tear as you can out of your carpets. Professional steam or carpet cleaning can help extend the life of your carpets as it will help preserve their quality as well as keep them looking clean and new. End Of Lease Cleaning: If you are renting your home or business in the North Beach WA 6020, chances are you will be required to perform end of lease cleaning as part of the terms of your lease. This includes steam cleaning the carpets. We will ensure that your home or office, carpets included, is left in pristine condition. This will also help ensure that you get your security deposit back at the end of your lease. 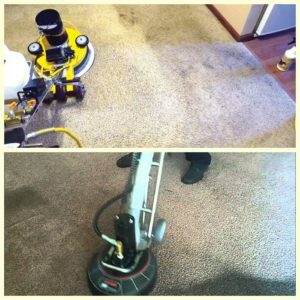 Call Carpet Cleaning for Perth for the best carpet cleaning service in the North Beach WA 6020 area, We will give you a free estimate and then schedule our expect team to clean your home or office from top to bottom! You might not think of upholstery cleaning when you think of your daily or weekly cleaning routine. Heck, you might not even consider it as part of your Spring cleaning agenda. That’s where we come in! We will clean your upholstery so you don’t have to! If you happen to own a business in North Beach WA 6020, you want to make sure that every inch of your establishment is clean and presentable to the general public. However, as a successful business owner, you don’t always have the time to clean every last nook and cranny, and you might inadvertently neglect certain areas, such as your upholstery. That’s why it pays to hire a professional cleaning team like ours to handle the dirty work for you! Restore Clean Air Quality To Your Home Or Office: If you neglect to clean your upholstery, the particles such as dirt, hair, and such can be released into the air and cause a foul odour which can be detrimental to those who suffer from health issues such as asthma, emphysema, COPD, and allergies. Our expert team uses only commercial grade cleaners to deep clean your upholstery to remove any and all allergens, thus restoring a clean, fresh and pure air quality to your home or office. Prolong The Lifespan Of Your Upholstery: We know that you have a lot of pride in your furniture and other upholstery items. Some of them may even be antiques or cherished family heirlooms. As well, if you own a business, you obviously want to ensure that your office furniture lasts a long time to make your initial investment pay off. Professional upholstery cleaning can not only help maintain a clean and neat appearance, it can help extend the lifeline of your furniture and other items of composed of upholstery. Remove Dirt, Spots & Stains From Your Furniture, Etc: Stains and spots can be quite a challenge at times, especially if they are liquid stains such as wine or coffee. And if you have kids, spills are inevitable. But no matter how much you scrub, some stains can be difficult to remove. 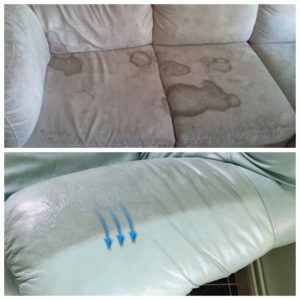 We use products that are designed to safely clean all types of upholstery including leather, vinyl and a number of other fabrics, without causing fading, tears or damage. Fulfil Your Exit Cleaning Requirement: Renters in North Beach WA 6020 will have to provide proof of end of lease cleaning before they can hand in their keys to their rental. We provide real estate clearing, for sale cleaning, exit cleaning and end of lease cleaning as well as renovation or new construction cleaning. We will ensure that your property is left in immaculate condition and leave you with a hard copy of all services performed to show as proof to your rental office. Contact Carpet Cleaning for Perth North Beach WA 6020 for a free upholstery cleaning estimate. We provide everything from office cleaning to house cleaning to industrial cleaning and even emergency cleaning! If you live in North Beach WA 6020, you can vouch for the fact that tile and grout cleaning is quite a project. Tile and grout attract dirt like a magnet. From crumbs, to spills to foot traffic to a million other dirt patience, your tile and grout surfaces take quite a beating. Instead of spending countless hours mopping and scrubbing on your hands and knees, why not hire us for professional and efficient tile and grout cleaning? If you own a business in North Beach WA 6020, you want to be sure that your tile and grout is clean and tidy and presentable at all times. This can be hard if you have a constant flow of customers, not to mention the fact that you are trying to run a business. Cleaning is a necessary fact of life, but it can be quite time-consuming. Give us a call and we can do the work so you don’t have to! Saves Time & Money: You can either rent professional equipment or spend hours mopping, scrubbing and buffing your floors or you can opt for professional cleaning. We can save you the hassle of cleaning yourself as well as the cost of renting the equipment. We use state-of-the-art equipment and commercial grade cleaners that will not damage your floors. Protects Your Tile: All of our cleaners are safe for all types of tiles from stone to vinyl to granite. As well, we can prevent dirt from getting stuck beneath your tile and causing it to lift or crack which is a genuine safety issue. We will remove all dirt and debris without damaging your tile, which also extends its lifetime and saves you for having to make costly repairs. Promotes A Healthy Home or Office: Dirt and grime can cause mould issues which then affect the air you breathe. We will safely remove these allergens with our eco-friendly cleaning products to ensure that the air you breathe is clean and your floors are free of harmful particles. Meets Your Exit Cleaning Stipulation: Those who rent their North Beach WA 6020 property must provide exit cleaning before they sign their exit agreement at the end of their rental term. As well, you want to make sure that you are given your full security deposit when you leave the unit. We will provide superior end of lease cleaning to ensure that you meet this requirement. As well, you will have a copy of your receipt to show to your landlord. Call Carpet Cleaning for Perth North Beach WA 6020 today to speak to a member of our friendly staff and receive a free estimate for any or your cleaning needs! At Carpet Cleaning for Perth, we handle it all from commercial cleaning to home cleaning to emergency cleaning! We have the experience, necessary resources and the expert staff to do the job right! Call us today for a free estimate and professional consultation! We stand behind our reputation as the number one cleaning service in North Beach WA 6020.